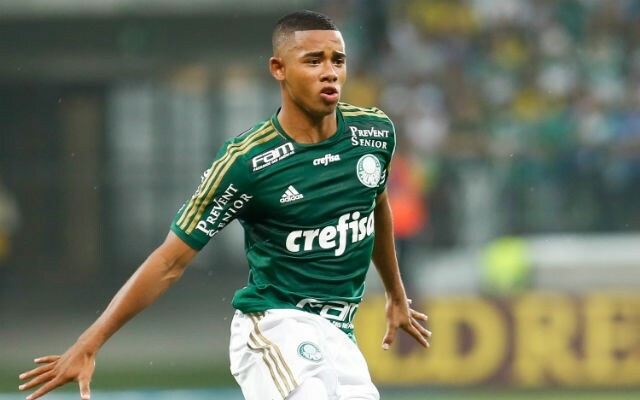 A team of Arsenal officials are set to fly out to Brazil to meet counterparts from Palmeiras over a potential deal to sign 18-year-old wonder kid Gabriel Jesus, according to a report in CalcioMercato24. The teenager has enjoyed a strong breakthrough campaign in the Brazilian Campeonato, where he has bagged an impressive five goals in 17 first team appearances. And it is his astronomical rise to prominence that has caught the attention of Arsenal scouts, who have prompted club officials to head to South America in an attempt to broker a deal to bring him back to England. The report claims that talks between Arsenal and the player’s agent have already been ongoing, and the club are now thought to be confident in striking a deal. He has been in prolific form for Palmeiras at youth level, notching a stunning 37 goals in 22 games at under-21 level.